January 10th, 2018.- The electricity consumption of some of the main countries in Western Europe had an unequal behavior in 2017. 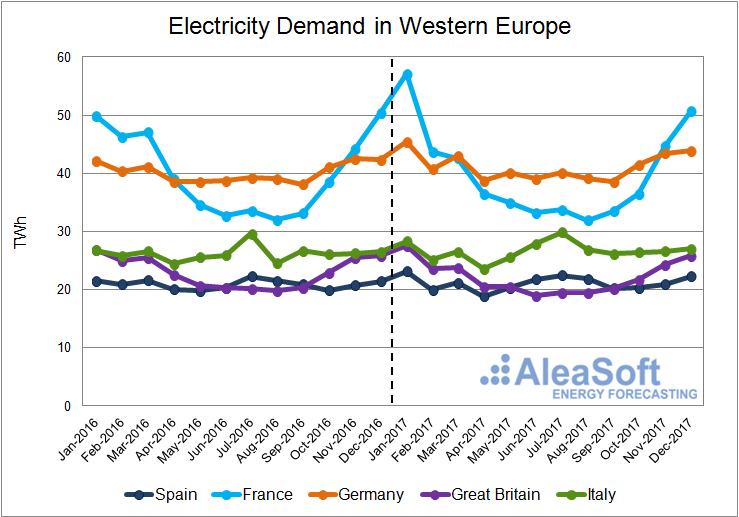 In Spain, Italy and Germany, the electricity demand increased compared to 2016, while in France and Great Britain, the behavior was the opposite. Even with different progressions throughout the year, there were some common behaviors in the demand of all the countries. The main shared feature of all the analyzed countries was the large increase of the demand in January compared to January 2016. 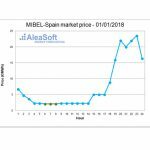 This monthly year-on-year increase of the demand ranged from 2.8% in Great Britain to 14.3% in France, and is a consequence of the cold snap that stroke the European continent the last winter. On average, the temperatures in January were around 3°C colder than January 2016. Monthly electricity demand evolution in Western Europe -2016 and 2017- (TWh). Sources: Spain: REE, France: RTE, Germany: ENTSOE, Great Britain: National Grid, Italy: TERNA. Electricity demand in mainland Spain grew 1.1% in 2017 compared to 2016, according to data published by REE (Red Eléctrica de España). Once temperature and working days effects are corrected, provisional data from REE suggest that the increase could go up to 1.6%, because of the demand moderated from February to April due to the warmer temperatures registered, 1.0°C higher than in 2016. 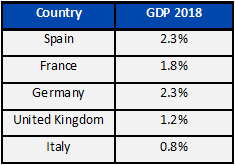 It is estimated that the Spanish economy grew by 3.1% in 2017. In France, electricity demand fell 0.5% in 2017 with respect to the previous year. The huge increase of the demand registered in January (14.3%), due to the low temperatures, 4.0°C lower than January 2016, was outweighed by the decrease of the demand in the rest of the cold months of the year due to warmer temperatures. The annual growth of the French economy is expected to be 1.8% in 2017. In Germany, the demand experienced year-on-year increases in all months of 2017. The higher increases were in January, 7.7%, March, 4.5%, and May, 4.0%. The global increase of the whole year was 2.4%, the largest increase of all the analyzed countries. Taking into account that the values ​​of growth of GDP are still not available for the last quarter of the year, the annual value for 2017 is expected to be around 2.5%. The largest fall in the demand of all the analyzed countries was in Great Britain. Year 2017 ended with a decrease in the demand of 3.5%. 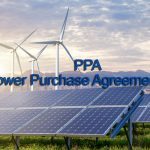 On the other hand, the solar and wind energy embedded generation was estimated to grow nearly 20%. As for UK GDP, it is estimated that in 2017 the economy grew by 1.5%. Electricity demand in Italy in 2017 was 1.6% higher compared to 2016. The largest year-on-year increase of the demand was in August, 9.5%, coinciding with an increase of the temperature of 1.7°C with respect to August 2016. The Italian economy is expected to have grown by 0.8% in 2017. 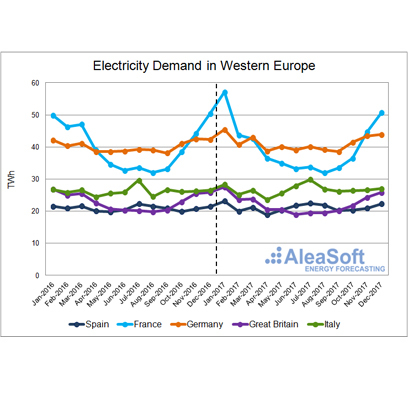 AleaSoft forecasts show an increase in the electricity demand in the analyzed countries in Western Europe in 2018 compared to 2017, except in Great Britain, were the demand is expected to suffer a slight decline, while the embedded generation will keep growing. AleaSoft forecasts have been obtained using a mean temperature scenario and the predicted GDP growth figures for each country shown below.